Fox News host Sean Hannity bragged about his continued promotion of a baseless Seth Rich murder conspiracy and fringe-sourced smear, even as advertisers began to announce they would no longer be advertising on his Fox News show. 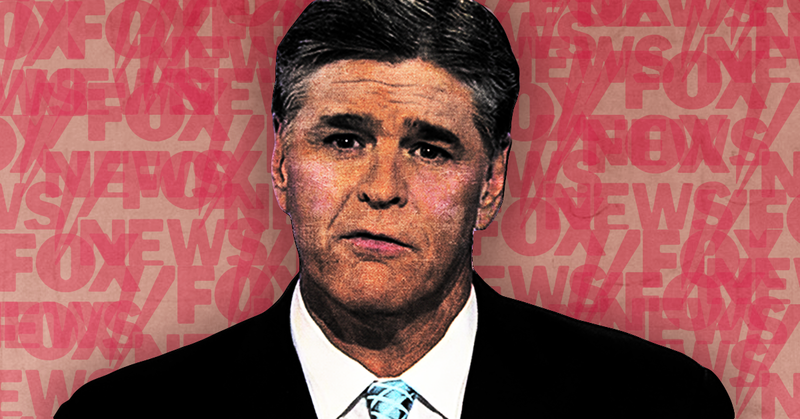 In an interview with HuffPost, Hannity said “he received no pressure from Fox News brass or Rupert Murdoch … to back off the story,” which Hannity has continued to promote even “after Fox News’ website retracted a story featuring unproven claims of a link between Rich and WikiLeaks.” Instead, Hannity argued “There’s nothing that I did, nothing that I said, except they don’t like my position politically,” in reference to criticism of his ghoulish obsession with Rich. Hannity’s refusal to back down comes as advertisers are realizing that his history of bigotry, sexism, and penchant for spreading conspiracy theories might be too risky for their brands. As reported by Buzzfeed, multiple advertisers are dumping his show. [Media Matters President Angelo] Carusone said he views Hannity “freaking out” on Twitter as evidence of “palpable fear and anxiety,” given those high-profile departures from Fox News. “I think it illustrates the anxiety he feels,” he said. Still, Carusone also said Hannity was exploiting the opportunity to attack the left.